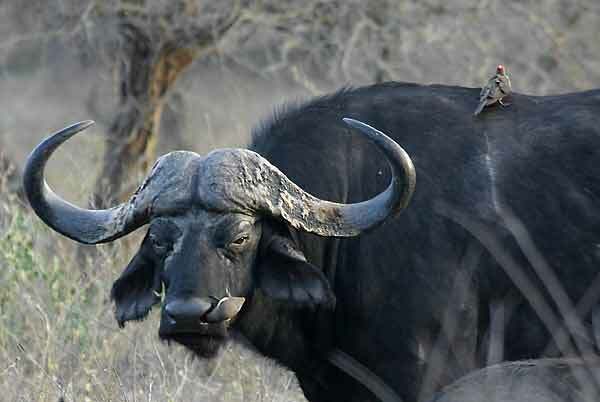 Caption: Buffalo bull with oxpecker checking its nose for insects, Kruger National Park, South Africa. Photo: © Scotch Macaskill. Location: The world-renowned Kruger National Park, situated within South Africa, offers a wildlife experience that ranks with the best in Africa.